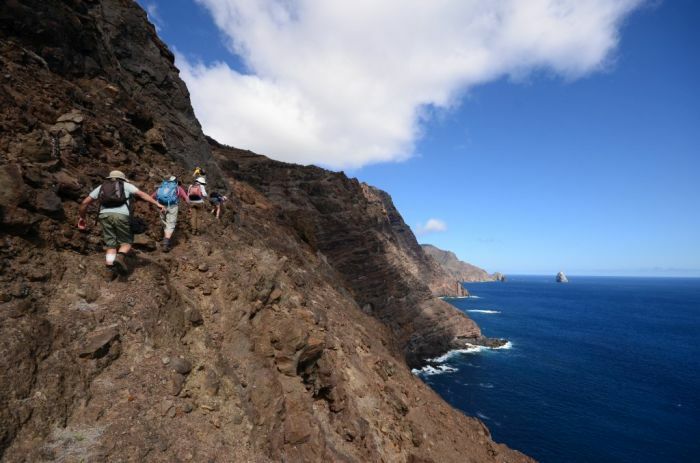 St Helena, a tiny island in the South Atlantic, really can be described as the middle of nowhere. About 1,200 miles west of Angola in Africa and 1,800 miles east of Brazil, until now it has only been accessible via a five-day boat journey from Cape Town. Hardly a realistic place for a holiday, no matter how spectacular the destination. But all that’s about to change. This May a commercial airport is opening on the island, with weekly flights from Johannesburg, meaning you could catch an overnight flight from London on Friday and be on the island by Saturday lunchtime. So, with transport to the island about to become a whole lot simpler, just why should you make the trip out there? We spoke to some of the inhabitants to find out. 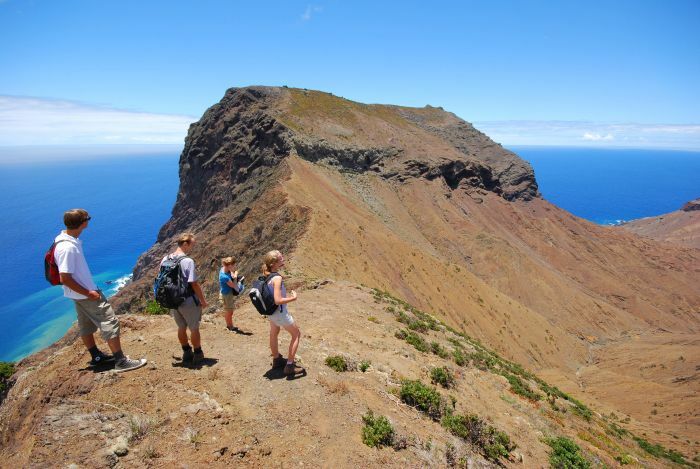 “There are tremendous opportunities for hiking on St Helena,” says Derek Richards, who runs No Limits Travel and Tours. “Approaching by ship, you see that two thirds of the island’s surface is barren, which makes you wonder how such a forbidding exterior can provide any scope for enjoyment. The island, which is a British overseas territory, is about the same size as Jersey (47 square miles) but with just a fraction of the population: about 4,250 people live on St Helena, compared to almost 100,000 on Jersey. 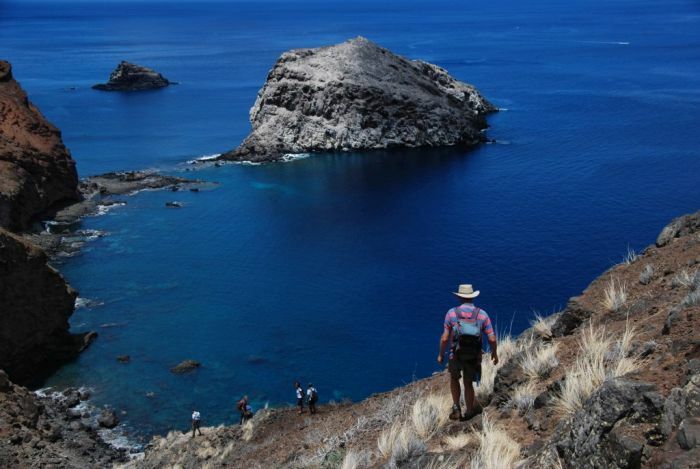 So you can imagine how remote the trails feel… and the island doesn’t just offer excellent walking. 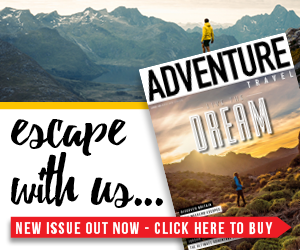 “You’re free to ride virtually anywhere, depending on how adventurous you are,” says keen cyclist Rick Walters. 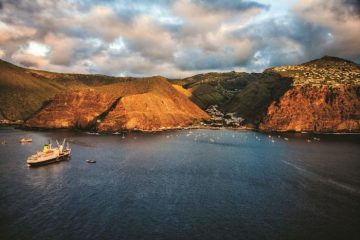 “St Helena is volcanic and so diverse in its landscape. There are a lot of challenging hills, which will make you sweat, fast downhills and rocky single-track. There’s a combination of semi-desert and green valleys and forest with awesome views. “The best ride for me is through Fairyland, on the western side of the island which is lush countryside,” continues Rick, who has lived on St Helena for 25 years, having moved there from the UK. “The ride takes you, with a few fast downhills and steep climbs, through a forest area. And, as you’d expect from a small island, there are endless water-based activities too. 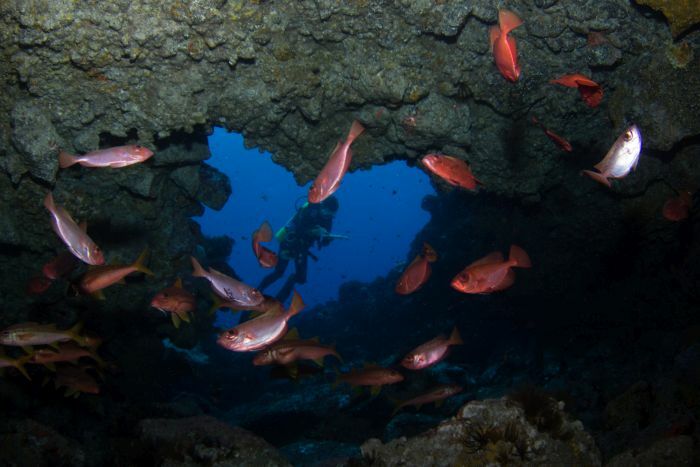 St Helena offers diving for beginners and experienced divers alike. The peak season is from January to June or July, when water visibility is 25m-30m. In January and February you’re pretty much guaranteed to see whale sharks, the biggest known species of fish, although they can stay around the island until April or May. Protocol is that if you see them, even on the way to a dive, you stop the boat and jump in. 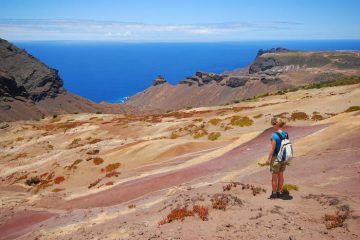 St Helena’s airport is set to open on 21 May, which is St Helena Day, commemorating the day that the island was discovered in 1502. But don’t worry if you don’t manage to get on the very first plane, the weather is warm all year round. The winter months of July through to September are rainy, although the lower reaches of the island on the southern side are dry for most of the year. Temperatures in summer (December to March) aren’t unbearably hot – it tends to reach about 32 degrees centigrade.